Sen. Jon Tester will use his position on a key U.S. Senate subcommittee to push for better use of technology and manpower over a costly wall on the southern border, he said Tuesday. 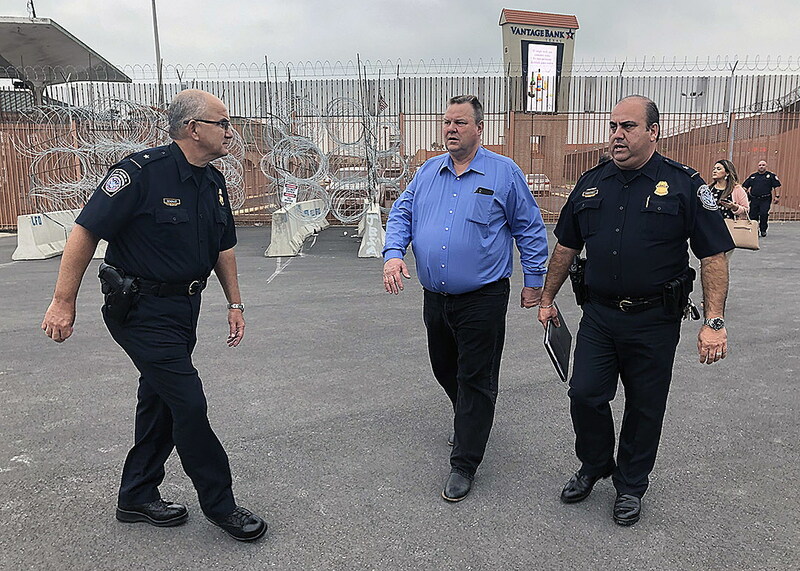 Fresh off a tour of the border, Tester brought home a number of concerns, including substandard living conditions for immigrant detainees and the loss of more than 1 million acres in Texas due to the proposed location of the wall. Tester said the wall continues to dominate debate in Congress. The Pentagon last week released a list of U.S. military construction projects that could be lost as the White House redirects funds to build a border wall. The missile maintenance facility at Malmstrom Air Force Base and the Montana Air National Guard’s C-130 aircraft apron are both on the list. During his border tour, Tester met with Customs and Border protection officials, along with local farmers and ranchers. He also toured two ports of entry and visited the nation’s largest immigration processing center in McAllen, Texas. The facility houses 800 people, he said. Tester also questioned the use of funds allocated by Congress to expand the McAllen facility in the Fiscal Year 2017 budget. That funding wasn’t used for its assigned purpose, he said. Last month, a seven-member Senate committee, including Tester, passed a bipartisan spending bill that included $1.37 billion for 55 miles of border fencing and other technological enhancements. The Trump administration followed by declaring a national emergency to secure additional funding for 200 miles of border wall. Tester said local farmers and ranchers, one who stands to lose 500 acres of irrigated crop land south of the proposed wall, are against the wall and are pressing for other options. Tester said modern technology would have more impact than an antiquated wall in stopping drugs and illegal immigration. A wall “from sea to shining sea” would be ineffective and a poor use of taxpayer dollars, he said.